Robert E. Buswell Jr. & Donald S. Lopez Jr.
1304 pp. | 8 x 10 | 2 line illus. 1 table. 6 maps. With more than 5,000 entries totalling over a million words, this is one of the most comprehensive and authoritative dictionary of Buddhism in English. It is also the first to cover terms from all of the canonical Buddhist languages and traditions: Sanskrit, Pali, Tibetan, Chinese, Japanese, and Korean. Unlike reference works that focus on a single Buddhist language or school, The Princeton Dictionary of Buddhism bridges the major Buddhist traditions to provide encyclopaedic coverage of the most important terms, concepts, texts, authors, deities, schools, monasteries, and geographical sites from across the history of Buddhism. The main entries offer both a brief definition and a substantial short essay on the broader meaning and significance of the term covered. Extensive cross-references allow readers to find related terms and concepts. Tathatā. (T. de bzhin ny id/de kho na ny id; C. zhenru; J. shinny o; K. chiny ŏ 眞如). 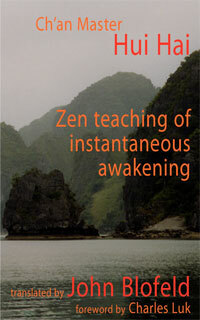 In Sanskrit, “suchness” or “thusness”; a term for ultimate reality , especially in the MAHĀYĀNA schools. Along with terms such as DHARMATĀ, DHARMADHĀTU, and BHŪTAKOṬI, it has a more “positive” connotation than emptiness (ŚŪNYATĀ), referring to the eternal nature of reality that is “ever thus” or “just so” and free of all conceptual elaborations. In YOGĀCĀRA/VIJÑĀNAVĀDA, the term refers to the ultimate wisdom that is free from the subject–object distinction (GRĀHYAGRĀHAKAVIKALPA). Buddhahood is sometimes described as tathatāviśuddhi, or “purity of suchness,” that is, ultimate reality purified of all obstructions. In the MADHYAMAKA school, any attempt to substantiate the nature of reality is rejected, and tathatā is instead identified with emptiness and the cessation of all dichotomizing tendencies of thought. The Chinese equivalent, ZHENRU, is a seminal term in in East Asian Buddhist philosophy, figuring prominently, for example, in the DASHENG QIXIN LUN. See also TATTVA. Heze Shenhui. (J. Kataku Jinne; K. Hat’aek Sinhoe 荷澤神會) (684–758). Chinese CHAN master and reputed main disciple of the sixth patriarch HUINENG; his collateral branch of Huineng’s lineage is sometimes referred to as the Heze school. Shenhui was a native of Xiangy ang in present-day Hubei province. 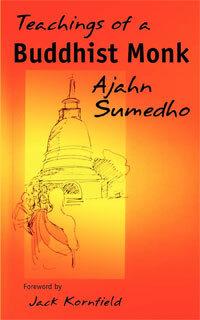 He became a monk under the master Haoy uan (d.u.) of the monastery of Kuochangsi in his hometown of Xiangy ang. In 704, Shenhui received the full monastic precepts in Chang’an, and extant sources provide differing stories of Shenhui’s whereabouts thereafter. He is said to have become a student of SHENXIU and later visited MT. CAOXI where he studied under Huineng until the master’s death in 713. After several y ears of traveling, Shenhui settled down in 720 at the monastery of Longxingsi in Nany ang (present-day Henan province). In 732, during an “unrestricted assembly ” (WUZHE DAHUI) held at the monastery Day Unsi in Huatai, Shenhui engaged a monk by the name of Chongy uan (d.u.) and publicly criticized the so-called Bei zong (Northern school) of Shenxiu’s disciples PUJI and XIANGMO ZANG as being a mere collateral branch of BODHIDHARMA’s lineage that upheld a gradualist soteriological teaching. Shenhui also argued that his teacher Huineng had received the orthodox transmission of Bodhidharma’s lineage and his “sudden teaching” (DUNJIAO). In 745, Shenhui is said to have moved to the monastery of Hezesi in Luoy ang, whence he acquired his toponym. He was cast out of Luoy ang by a powerful Northern school follower in 753. Obey ing an imperial edict, Shenhui relocated to the monastery of Kaiy uansi in Jingzhou (present-day Hubei province) and assisted the government financially by performing mass ordinations after the economic havoc wrought by the An Lushan rebellion in 755. He was later given the posthumous title Great Master Zhenzong (Authentic Tradition). Shenhui also plays a minor, yet important, role in the LIUZU TAN JING (“Platform Sūtra of the Sixth Patriarch”). A treatise entitled the XIANZONGJI, preserved as part of the JINGDE CHUANDENG LU, is attributed to Shenhui. 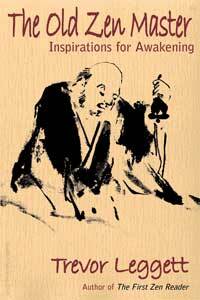 Several other treatises attributed to Shenhui were also discovered at DUNHUANG. Shenhui’s approach to Chan practice was extremely influential in GUIFENG ZONGMI’s attempts to reconcile different strands of Chan, and even doctrine, later in the Tang dynasty; through Zongmi, Shenhui’s teachings also became a critical component of the Korean Sŏn master POJO CHINUL’s accounts of Chan soteriology and meditation. An appendix of Buddhist lists (for example, the four noble truths and the thirty-two marks of the Buddha), a timeline, six maps, and two diagrams are also included. Chinul’s Korean Way of Zen. Donald S. Lopez Jr. is the Arthur E. Link Distinguished University Professor of Buddhist and Tibetan Studies at the University of Michigan. He is the author of The Tibetan Book of the Dead: A Biography and the editor of Buddhism in Practice (both Princeton), among many other books. In fact, he said, six UCLA graduate students “made such extensive contributions to the dictionary that we listed them on the title page. Several have since gone on to academic positions of their own.” Those contributors include J. Wayne Bass (UC San Diego), William Chu (University of the West), Seong-Uk Kim (Harvard University), Sumi Lee (Dongguk University) Maya Stiller (University of Kansas), and Harumi Ziegler (Rare Books Division, UCLA Young Research Library). Major assistance was also provided by former UCLA graduate students Caleb Carter (now a visiting professor at UCLA), Shayne Clarke (McMaster University), Heng Yi fashi (Dharma Realm University), Min Ku Kim (University of Minnesota), Youme Kim (Los Angeles City College), Karen Muldoon-Hules (UCLA), Cedar Bough Saeji (Hankuk University of Foreign Studies), Tyler Cann, Mui-fong Choi and Sherin Wing. Here is an hour long video by Donald Lopez and Robert E. Buswell, introducing the Princeton Dictionary of Buddhism. £44.95 from the Book Depository. 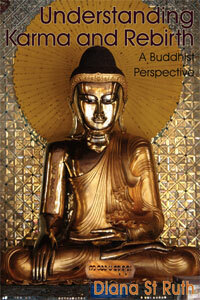 When I read this post on Buddhism Now I decided this book would greatly add to my growing fund of knowledge of Buddhism. I went to Amazon.com to order it, found it was less costly than I had thought, and learned I could pay for it with points from my credit card. So it is a great deal for me all around! I yearn to learn. Do you?